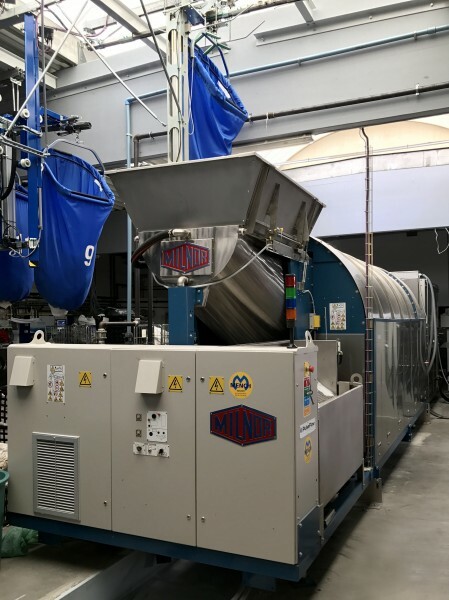 Improving both efficiency and productivity of processed linen while maintaining high-quality standards and flexibility in washing capacities has been achieved by Olivier Résimont's growing Belgian laundry, thanks to the start-of-the-art Milnor PulseFlow® batch washing system. The Résimont Laundry was founded in 1951 by Camille Résimont in Mettet Belgium and is now run by his son Olivier. The medium-sized laundry, well-known for its high standards, has always focused on the quality of work and the quality of service to its customers. As any mid-size company wishing to expand its activities, the Résimont Laundry needed to diversify its offerings in order to compete with the big groups in the laundry market. Olivier Résimont's main target is linen from high-end hotels and high-end elderly homes in the Brussels region and Wallonia, Belgium. In his case, he deals with a wide variety of linen, as he handles personal linen, bed linen, table linen, and towels with an average hourly production capacity of 660 lb (300 kg). The Résimont Laundry has been able to increase its production every year, even during the past difficult years of economic crisis. As the crisis diminishes, demand is strongly increasing. To be able to continue growing, the laundry needed to raise its production capacity, streamline its production and reduce labor costs. Up to now, the laundry has only been working with open-pocket and barrier stand-alone washers having an average water consumption of about 2.28 gallons per pound (19 L/kg). As time went by, and with costs of water, energy and labor continuing to increase, Olivier Résimont started to focus on improving the work-flow and efficiency of his plant, looking for new and better solutions. The diversity of linen with which he is used to had prevented him from investing in a continuous batch washer in the past. Mench Industry, Milnor's Belgian distributor, had encountered Olivier Résimont when selling him his latest ironer in 2015. 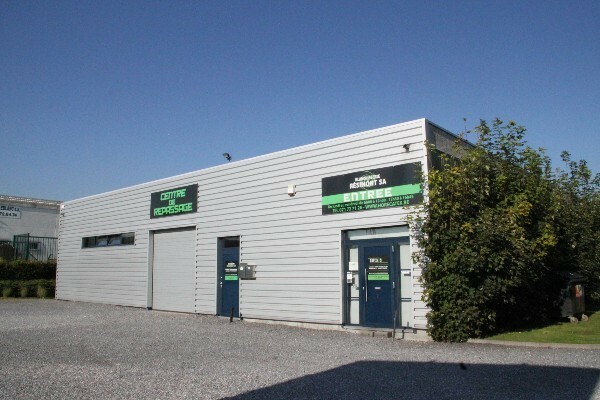 Following the sale, they built a strong business relationship, including their main technician, Eddy François. Olivier Résimont and his plant manager, Stéphanie Bouchat, discussed with Mench about their wish to improve the workflow and increase production capacity while also maintaining high quality standards. With this perspective, they made a thorough study of the workflow and linen diversity. The main issues were remaining as flexible as possible with regard to the washing capacities, optimizing the investment, improving the workflow and still being able to get as much energy and water savings as possible. 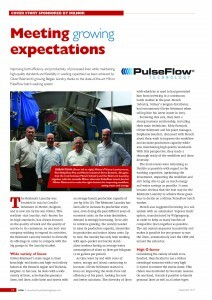 It soon became obvious that the best way for the Résimont Laundry to achieve these goals was to decide on a Milnor PulseFlow batch washer. Mench also suggested investing in a rail system with an automated "express track" option, manufactured by Wilgengroep, in order to keep as many batches of compatible linen together as possible. The rail system improves traceability and makes it possible for one person to sort the linen, automatically load the CBW® washer and unload the extractor. Considering the variety of work to be handled, they decided to use a Milnor centrifugal extractor with a very high G-factor to remove the excess water. This choice was motivated by two main reasons. On one hand, it made it possible to handle personal linen as well as all other types of linen, and on the other hand, Olivier Résimont would not have to invest in shuttles, cake-breakers or shakers, because the centrifugal extractor discharges the linen already loosened up. The challenge was to make sure it would be possible to process the different variety of linen several times a day in the CBW, while keeping consumptions low. Most CBWs are made for one type of linen, meaning that if a laundry has several different types of linen, it is usually required to invest in two different CBWs. For Olivier Résimont, investing in two CBWs was not an option. The Milnor 5 module 110 lb (50 kg) alternate PulseFlow batch washer was in this case the only possible option. The double drum construction of every Milnor CBW in addition to the alternate PulseFlow option makes it possible to add/flush water, add chemicals, and heat up in each compartment of the tunnel. "It means that we can change completely the type of linen while only letting at most one empty compartment between two different types (colors) of linen," says Stéphanie Bouchat. Due to the reliability of the machine, high quality and constant production is achieved. 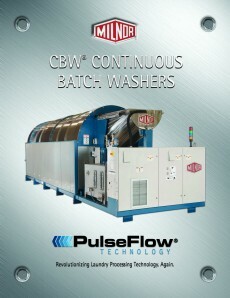 The wash process begins with the PulseFlow CBW, which is loaded by an automated soil rail system. The RecircONE® first module recirculation feature quickly wets down the goods and allows the chemistry to start its job in the first module. Milnor can already remove approximately 60% of soil from the linen in the first compartment. PulseFlow also provides highly efficient dilution by way of standing bath washing. The dilution process happens very quickly in a Milnor PulseFlow tunnel because of its spacious cylinder and a standing bath in each module. Chemical equilibrium, where water in the goods has the same chemical concentration as the free water, is achieved in less than 40 seconds. At that point, the chemistry in the wash process has completed its task. Then, in the last part of the transfer cycle, the PulseFlow high velocity rinse is initiated. The PulseFlow rinse is a precisely measured high velocity rinse to dilute the suspended soil from the bath. A second dilution then ensues by the Top Transfer design. The Milnor True Top Transfer moves linen by lifting the goods out of the water, draining the free water through a perforated scoop, and then sliding the goods into the next compartment. This process occurs in one continuous movement and takes only 3.5 seconds. Following the transfer, the goods are immediately soaked in cleaner water. The result is high quality washing and rinsing, producing hygienically clean linen with an average water consumption of 0.48 gallons per pound (4 L/kg) of processed linen. By adding a Milnor PulseFlow batch washer to this laundry, productivity has increased significantly. "The Résimont Laundry has gained efficiency in laundry processing by both increasing the amount of linen processed and reducing operating cost, including water, energy, chemicals and the overall labor required to load/unload washer-extractors," says Steve Bosteels, operations manager of Mench. 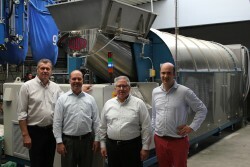 The trust between Mench Industry and Résimont Laundry, along with the extremely versatile Milnor alternate PulseFlow tunnel, has led Olivier Résimont to make the right decision by choosing a Milnor CBW tunnel, which is capable of improving the workflow, saving water and energy, and increasing the overall production capacity while also improving the washing quality of linen processed.